Story: What if you could live forever? 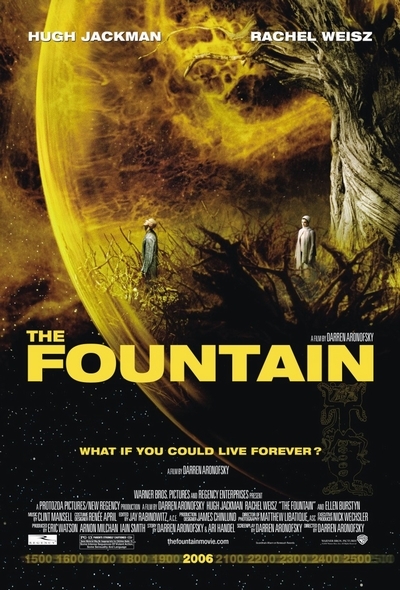 "The Fountain" is an odyssey about one man's eternal struggle to save the woman he loves. His epic journey begins in 16th-century Spain, where conquistador Tomas (HUGH JACKMAN) commences his search for the Fountain of Youth, the legendary entity believed to grant immortality. As modern-day scientist Tommy Creo, he desperately struggles to find a cure for the cancer that is killing his beloved wife, Isabel (RACHEL WEISZ). Traveling through deep space as a 26th-century astronaut, Tom begins to grasp the mysteries that have consumed him for a millennium. The three stories converge into one truth, as the Thomas of all periods - warrior, scientist, and explorer - comes to terms with life, love, death and rebirth. At once sweeping and intimate, "The Fountain" is a story about love and coping with mortality, which unfolds over three vastly different time periods.